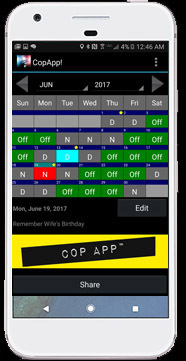 MyProjectX - Home of CopApp! 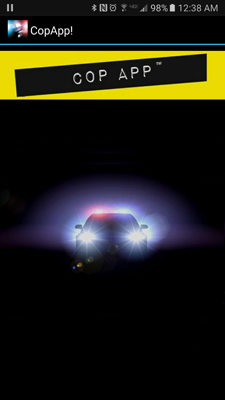 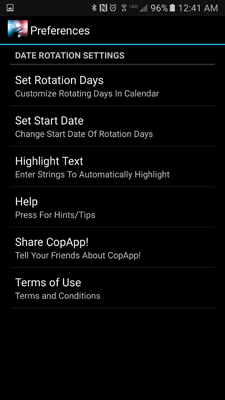 Welcome to the feature page of CopApp! 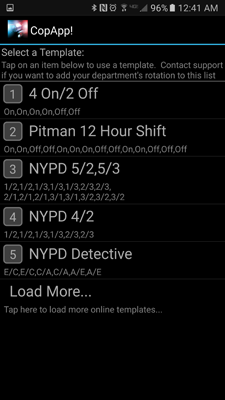 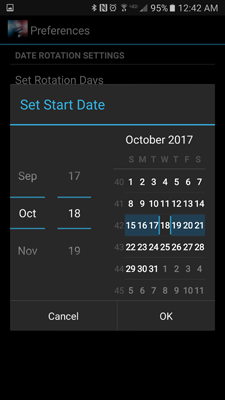 Calendar Schedule Shift App for iOS and Android! 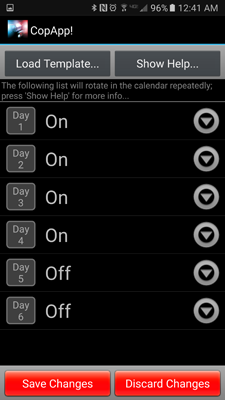 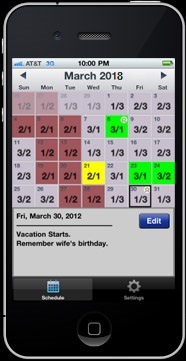 Tap on Settings-->Set Start Date to choose the first date of the repeating schedule. 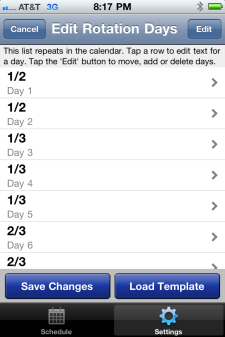 Enter comma-separated for more than one, ie: '1/2,2/1' to highlight when squads 1 & 2 both work day/night shifts. 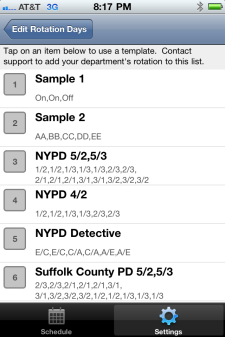 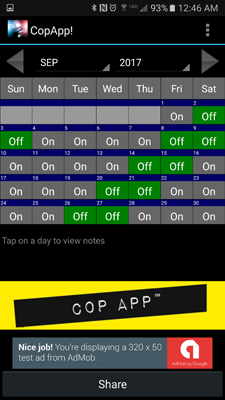 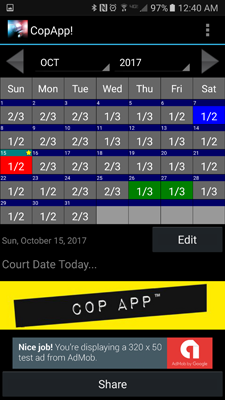 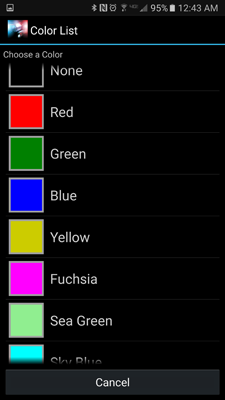 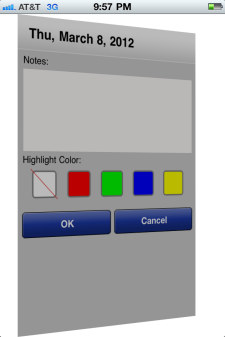 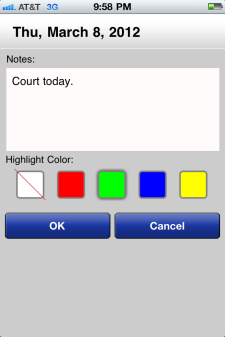 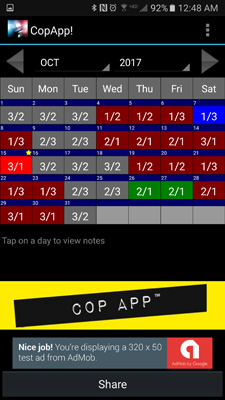 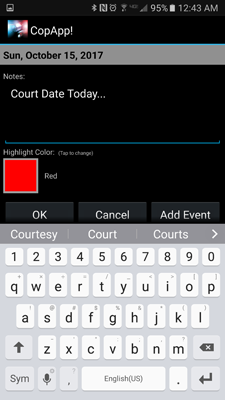 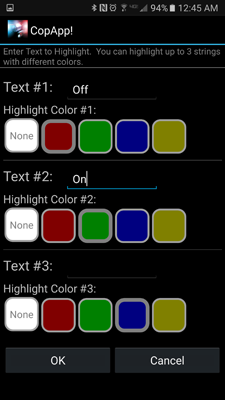 Tap on a date to highlight a color for important dates, days off, court dates, paydays, birthdays, etc.